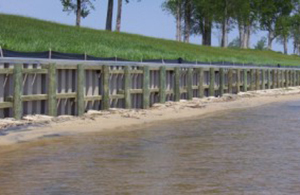 Everlast Synthetic Products is a leading manufacturer of vinyl sheet & composite piling for seawalls. 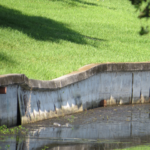 Our products and engineering expertise are used for seawall construction, retaining walls, and lake walls around the world. 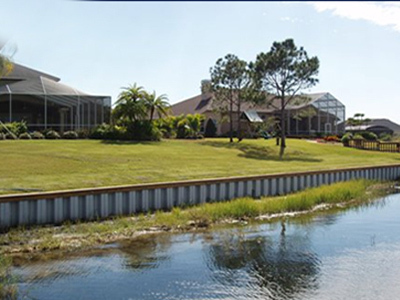 Working with ESP ensures decades of maintenance-free waterfront living at a lower cost than less reliable alternatives. 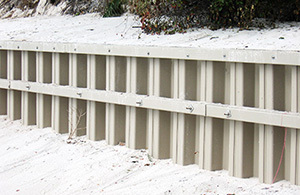 Everlast engineers are licensed in most coastal states and can provide signed and sealed final designs as a specialty designer to the owner or project engineer of record. We can also work with low bid contractors to provide a lower cost and longer lasting solution than the original specification through our value engineering solutions. 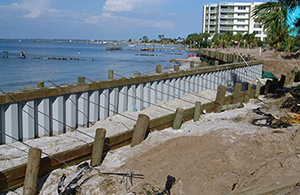 We offer a wide array of engineering services to fit any seawall project. "Many residents have commented on the aesthetically pleasing nature of the vinyl sheets over traditional materials. The project has been well received and is considered a dramatic success in the community." "The product performed as designed and we would use it where applicable on future projects. In fact, we have just placed a purchase order [for] another one of our projects..."
"To date the product is performing as designed and we are pleased with the positive appearance it provides to the stabilized area. We would not hesitate using the product again on future projects where suitable." 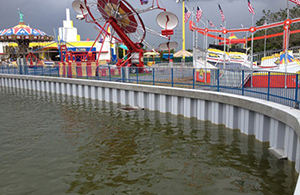 The U.S. Army Corps of engineers trusted our Everlast 4.1 series for a successful marina project in North Carolina.